Since my move to Chicagoland and the ensuing chaos of settling into a new place, I became lax in my attention to the beautiful act of eating with its benefits of optimal digestion, keener metabolism, and sheer pleasure. I knew that I had not been consistently practicing one of the most important principles of my work and life: mindful eating. This caused me to feel bloated and my waistline to expand. Not a great feeling! Unfortunately, LIFE stepped in and pushed me back into the habit of slowing down and paying attention to myself as an eater. Two weeks ago, I was eating a piece of toast with almond butter while walking around looking for something. Clearly not focused on the act of eating, I bit down inside my mouth in a huge way! It brought exquisite pain and some blood too – it was really awful. My mouth was swollen and raw for over a week. During this time, I had no choice but to eat and drink slowly and carefully. At first, I was incredulous that this happened, and I was angry at myself. (It helped to find out that others in my life had done this too!) But after the first couple of days, I began to enjoy the act of chewing and simply enjoying my food. I spent more time eating, but I consumed less while still feeling very satisfied. I also avoided salty foods (rice chips being my favorite salty snack) that would sting and discovered that my taste for salt diminished. As I continue my mindful eating, I feel better all around; my digestion is great, and I am enjoying my food again. And I’m not overeating because my brain knows that I’m full! Based off of my experience, I hope you will become more aware of yourself as an eater and slow down! I promise that you will feel better all around, both physically and mentally. Do what it takes to remind yourself to slow down in the early weeks, and then a positive habit will be in place. To get back into the habit of mindful eating, here’s what you can do. Designate a certain amount of time that you will spend eating a meal or snack, such as 10 minutes for a small meal or snack and 20 minutes for dinner. Don’t engage in screen time when eating. Focus on your food and the experience. Count the number of times you chew your food before swallowing. This entry was posted in Inspiration, Wellness Tips on February 27, 2018 by amy. Most of us are fast eaters. Slowing down the eating process connects you to your food and enhances digestion and metabolism. You also become more aware of how we feel physically while eating. This level of awareness will likely help you gravitate toward more nutrient-dense food. My second suggestion is to set aside a time to eat and drink. Many of us eat on the run, while standing up, or while driving! Planning when and where you eat is important. Doing so draws your full attention to the eating experience (even if it’s just 5 minutes) and it tells your brain that you are relaxed so you can savor the food. This is powerful if you’d like to optimize your metabolism. Tip #3: CONSIDER YOUR ENVIRONMENT. Enjoy your food and the great weather ahead! If I can ever support your health goals, click here to contact me. This entry was posted in Wellness Tips on April 1, 2015 by amy. Eating in a relaxed environment is key to properly digesting our food and drink. When our body and mind are stressed, chemicals in our brain, such as cortisol and insulin, surge and create an environment that doesn’t support a healthy metabolism—in this scenario, even eating healthy food can result in weight gain. When you consider the very act of meal prep alone (cooking can oftentimes be a stressor), it’s a challenge to actually eat under stress-free conditions. 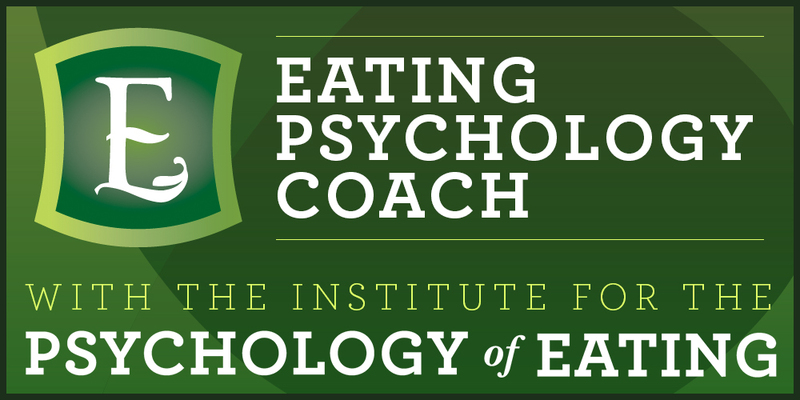 To create an optimal eating environment, I start inside my head. Even if you don’t have cloth napkins, you’ll notice a difference by simply dedicating a small, defined, area in your kitchen where you can eat peacefully. What I actually eat varies, but the environment is always an attractive place. When I eat in this way, I actually notice and enjoy my food, rather than shoving it down my throat and giving myself indigestion. When you keep your stomach happy, it reflects in your overall body and mood. Another example is thinking about food prep in advance of the time I actually need to start cooking. When I’m able to chop or dice ahead of time—like in the morning, or when my daughter is in the kitchen after-school—I can prepare a meal knowing that I don’t have a million and one things to do to have dinner ready at 6 pm. This reduces my stress about dinner prep, making dinner itself a more relaxing experience. As I finish up this post, I recall a story about a friend who is a beautifully relaxed eater and works hard to maintain this good habit. When he’s on the golf course and approaching the 18th hole, he phones the restaurant at his course and orders lunch. When he and his friends arrive at the restaurant, his lunch is waiting for him and he can start eating right away. This way, he doesn’t feel rushed to eat at the same pace as his buddies, and can actually enjoy his food—good thinking! I believe we can all afford to take a page from my friend’s book so that we may all experience the benefits of relaxed eating. What do you do to eat in a relaxed environment? Leave me a tip in the comments! This entry was posted in Inspiration, Wellness Tips and tagged amy larson, amy larson health coach, benefits of relaxed eating, relaxed eating on August 12, 2014 by amy.